Brookfield, Connecticut - SPECTRO PERFORMANCE OILS is excited to announce our partnership with GAS GAS MOTOS NORTH AMERICA. Beginning this season, Spectro is the official lubricant of GGMNA. In addition, we are now the proud sponsor of their Off-Road and Enduro Cross teams for the 2015 season and beyond! When asked about the partnership, GGMNA Operations Manager Mark Berg said, "We are very excited about our relationship with a company so dedicated to producing quality products, made right here in the U.S.A. In the past, our riders have used Spectro products with great success. Considering our expanded efforts in National Enduro, Hare Scramble, and Enduro X championships for 2015, having Spectro partner with Gas Gas Motos NA is a "win-win" situation for our race team and our dealers who will be stocking Spectro Oils". President of Spectro Oils of America, Alex Josefson echoed the same excitement. "This partnership is indicative of what we base our entire philosophy on; formulating products that give our consumers the competitive edge they are looking for. The legacy of Spectro is not only one of excellence and performance in racing, but also in our commitment to develop only the best lubricants available to the power sports industry. 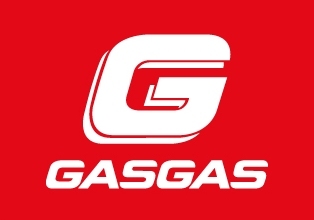 Partnering with a company as established and innovative as Gas Gas, is a perfect fit for both companies." Josefson added, "This comes at a very exciting time for our company, as 2016 marks our 50th anniversary. A joint-effort like this is the perfect way to kick off the next 50 years."